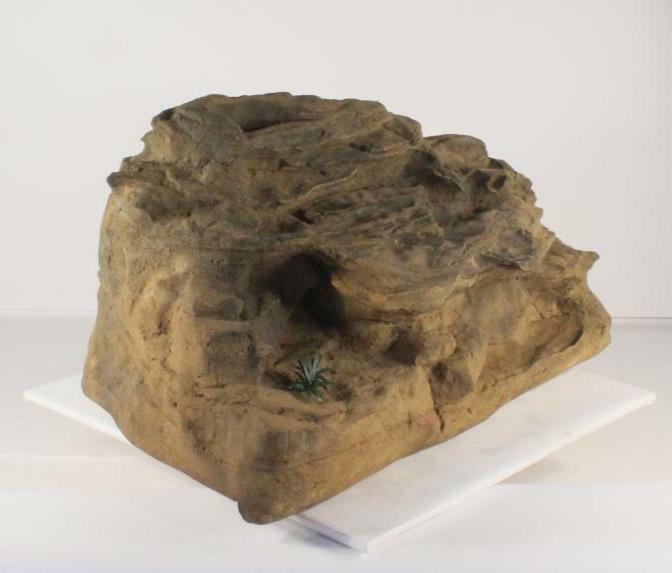 One cool aspect of faux rocks is that it allows us to design and create our very own water feature of choice. 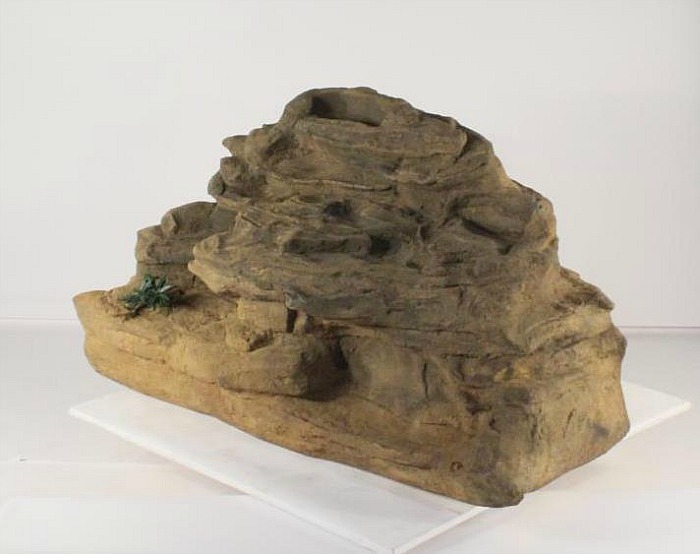 Our beautiful Spirit swimming pool waterfalls kit designed with edge rocks is a perfect example of a three piece 9' pool rock formation designed just for the swimming pool landscape. This decorative pool waterfalls extremely popular for showing very detailed rock crevices just like the weathering and erosion sculpting of a real rock formation. This very pretty swimming pool waterfalls called the Spirit has a main waterfalls rock that's about 27" high and 58" long. 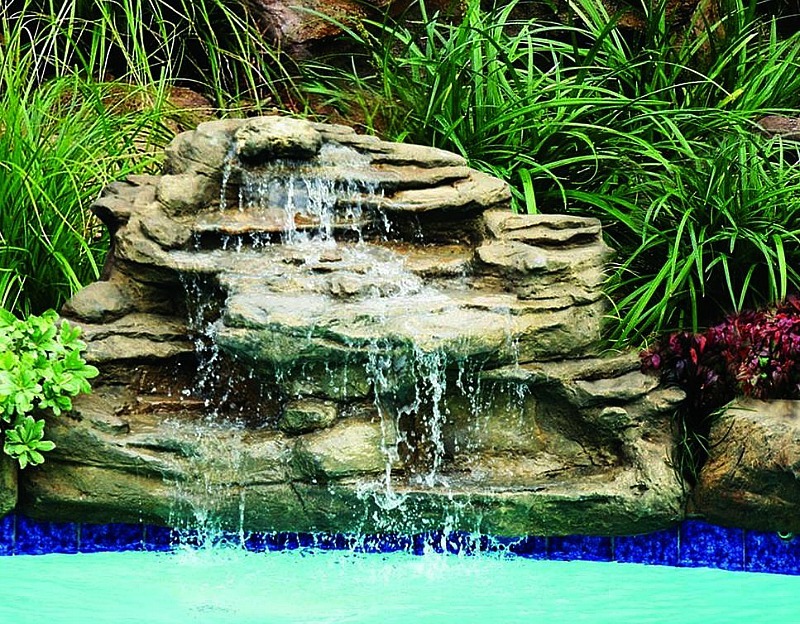 The edge rocks, designed from real rocks gives this gorgeous pool waterfalls a complete rock formation look for a water garden paradise for your swimming pool tropics. This fascinating backyard pool landscape feature and pool waterfalls kit comes with a 1.5 inch (40mm) water outlet fitting that can easily be hooked up to your existing pool pump. L 58" x W 40" x H 27"
L 24" x W 16" x H 5"
L 26" x W 25" x H 7"